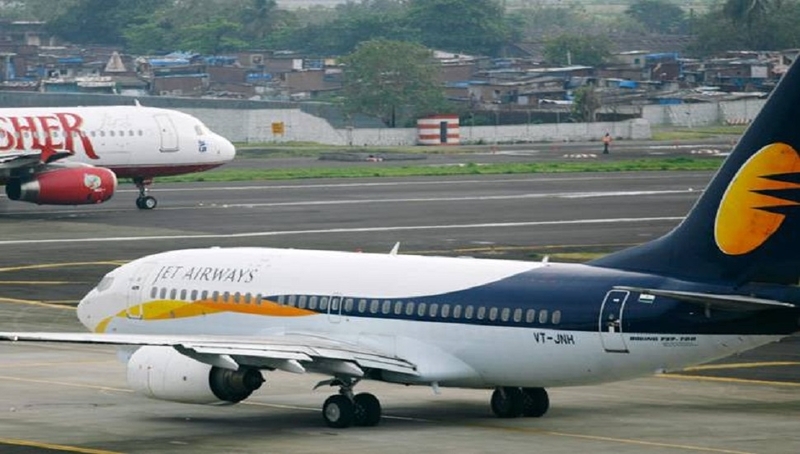 THE condition in which Jet Airways finds itself today cannot be brushed aside as the individual problem of one company in civil aviation sector. There is, of course, much substance in the statement of Civil Aviation Minister Mr. Suresh Prabhu that the Government is not responsible for the airline management’s limitations and failures. Yet, sincere efforts need to be made to find out what has caused what appears to be a near-sudden collapse of a leading civil aviation company, so much so that apprehensions are being expressed about its possible closure. In fact, it will do the nation much good if the overall condition of the civil aviation sector is treated as a case study whose findings could be used to refurbish a couple of other sectors of economy such as banking or telephony. For, these sectors present a picture of suspect definitions, with many dark areas that may be difficult to tackle. The overall picture of the civil aviation sector is one of huge investments, massive technological excellence, tremendous management challenges, and returns that are hardly commensurate with the inputs. In order to promote private participation in civil aviation, the Government offered countless concessions that led to the widening of the aviation network around the country. Some governmental leaders even withdrew the Indian Airlines and later Air India from many profitable routes and offered those to private players. As a result, Air India went into red, but the private players could not build their respective economies on solid footing. That was so mainly because of the rather unmanageable risks involved in aviation by way of mindboggling investments. In simple words, the returns from the business did not actually justify all those heavy inputs. The current status of Jet Airways, and also whatever happened to Kingfisher Airline earlier, indicates how the sector grew in fits and starts. Though the Government cannot be held responsible for failures of individual companies, it also cannot be spared for not having kept a tight tab on the overall details of management of the civil aviation sector, by any standard a fashionable area that was expected to add certain modernity to national economy. A more or less similar approach also was adopted while dealing with telecommunications sector, resulting in a somewhat chaotic growth. In the name of freedom to operate businesses, the Government allowed a near-free hand to telecom companies about tariffs and customer-allurement offers. No doubt, the sector grew in leaps and bounds, but also left in its wake quite a few dark areas that would act as drags on the growth trajectory of telecommunications. As the nation knows the details by now, the banking sector, too, met with a messy environment in which healthy operations of banks got impeded by various extraneous influences that included political hands that colluded with the corrupt elements to bring a bad name to an otherwise prestigious sector of the economy. Power is another sector in which policy failure caused much disruption which the nation is still not able to cope with. Many other sectors of the economy find themselves in more or less similar conditions. These harsh realities that are of the making of successive governments’ shortsightedness cannot be left alone in a naive hope and wish that some sensible rectification will take place all by itself. These sectors need a proactive engagement by the Government so that grey areas are taken care of and principles of sound management are made applicable to bring about a course-correction. This imperative has emerged from the dilapidated condition of the prestigious Jet Airways that actually can be credited with having ushered into the country modern era of civil aviation. This may be one case of massive management failure. But this may also be a case of how touch-and-go approach of the Government has led to an uncertain environment.